WBPDCL Notification 2018.West Bengal Power Development Corporation Limited has released a notification for the recruitment of Sub-Assistant Engineer, Chemist, Jr. Personal Assistants, Office Executive, Staff Nurse, Radiographer, Assistant engineer etc jobs.Check the eligiblity and notification prior to apply for the positions. Graduation degree holders can apply for assistant teacher, office executive and junior personal assistant jobs. B.Sc honours in chemistry from a recognized university can apply for chemist post. For remaining posts the qualification is full time diploma or diploma through lateral entry in respective discipline from a recognized university. Maximum upper age limit for assistant sub inspector post is 37 years and for remaining posts the maximum upper age limit is 32 years. The monthly pay for remaining positions is in between Rs.6300-20200/- and also grade pay allowances. Through written test and personal interview hiring of candidates will be done. 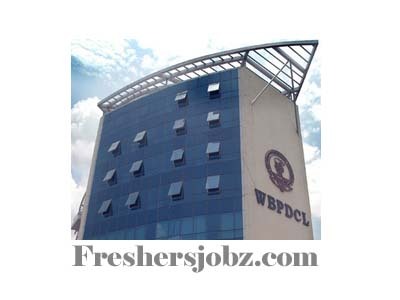 From 01st October 2018 to 16th November 2018 the online portal link will be active for WBPDCL recruitment. http://wbpdclonline.com/wbpdcl/ is the link to apply online for applicants.